Wish Google Maps' photographs of the world's most stunning places were better composed than what you see on Street View? Sightsmap lets you take virtual trips of the parts of the world that people love to photograph. 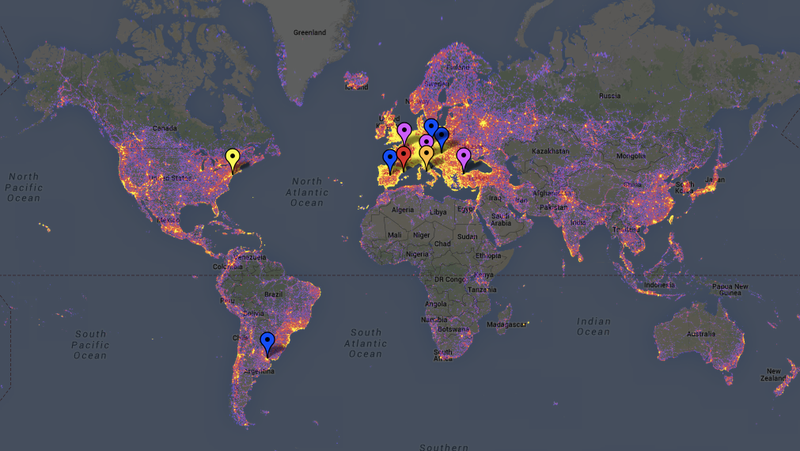 As an infographic, Sightsmap is far from a perfect representation of the most photographed places on Earth. Created by Estonian computer scientist Tanel Tammet, Sightsmap uses data and photographs from Panoramio, and so it's obviously biased toward the demographic of people who use Panoramio. But it does give you a sense of where people go when they want to photograph something famous or culturally interesting or visually spectacular. And the map is a work in progress, changing and shifting with each new upload. You can click on the map to see the photographs themselves. Take a virtual tour of the world, or plan your next sightseeing vacation.